I challenged the team in making sure that Linden truly runs through our veins, and what better way than through the use of photos. 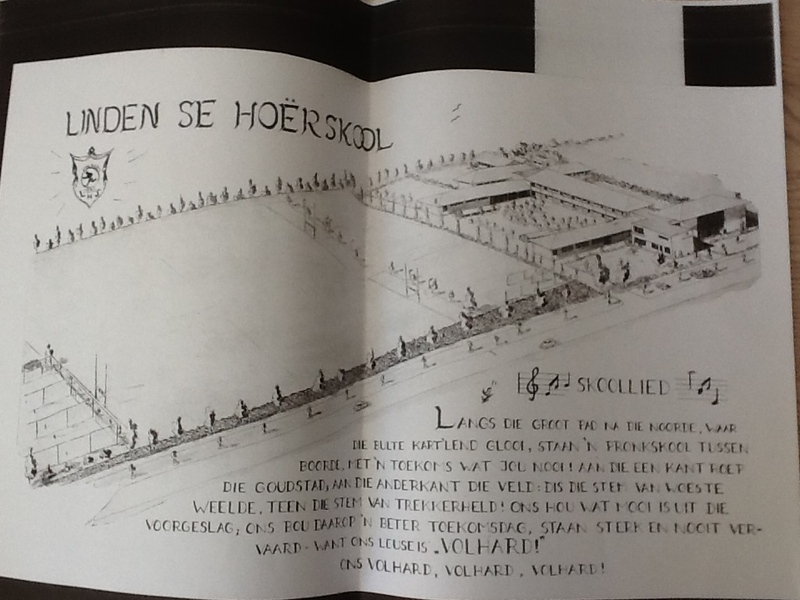 So I popped in to our local High School – Hoërskool Linden – after receiving the most amazing welcome from all the office ladies (Dankie tannies) – to get some photos that represent the history of Linden. 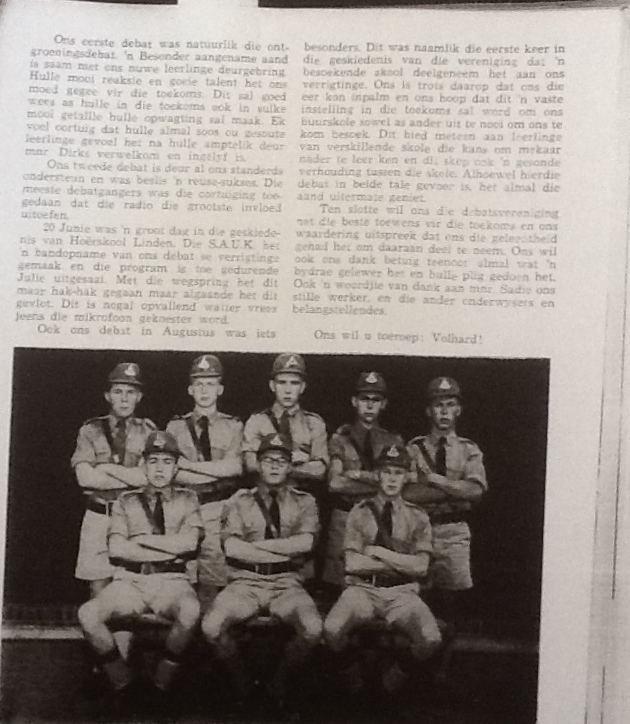 In a few minutes the table was stacked with year books ranging from 1953 (the year the school was opened) to 2011. 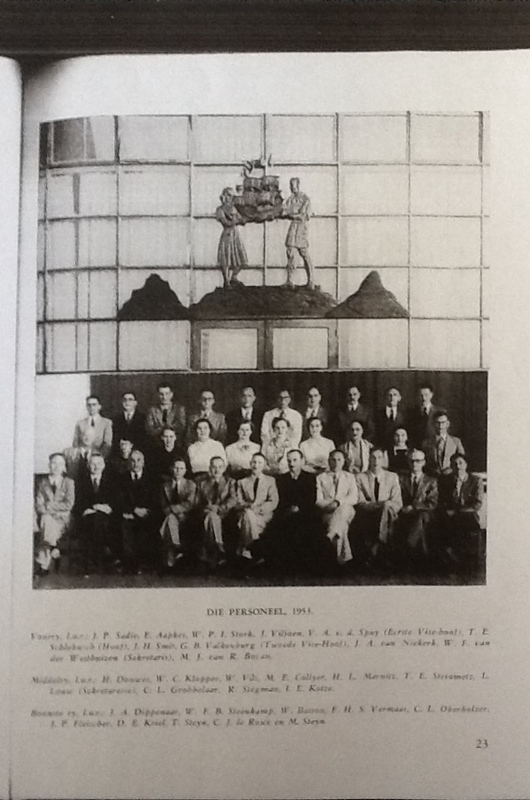 We were greeted with pages and pages of stories and photos of the first hockey, rugby, cadette, netball and athletics teams – and the best one of all – the first staff complement – all kitted out in their typical 1950’s attire of big dark spectacles and tailored suits (men and woman). I was once again reminded about an era where discipline and pride for your school and country was everything. You will notice that the school anthem has reference to the peach orchards in the area. So my thoughts are that we integrate these photos into the decor and furniture of our first Linden store? Jaco and I chatted to a lady Amanda du Plessis who is a local designer of furniture – she was also nominated for an Absolut/Visi Young emerging designer of the year award 2011 (www.evolutionproduct.co.za), to develop some of our furniture. I will keep you updated on how this progresses and will upload some of the first concept drawings as soon as the roll in. Below are some pics of the Hoërskool Linden photos and also complete the poll below as we need your input….this is your store! Next Post Hot Chocolate anyone? or should we call it Liquid Cocoa? I Vote for Walls and Chairs!!! Hi – that is absolutely awesome – Is there any chance you can send me a short blurp on your Granddad’s days in Linden….if you have any – i would love to show it with the community and perhaps some photos? thats would be awesome! do you still live in the area?